Fleeing the Ukraine of the 1930s, Teodor Mykolayenko, his family, and his sister Anna’s family emigrate to the Canadian prairie. Soon after their arrival, Teodor is imprisoned for stealing a cartful of his own grain. With Anna’s husband, Stefan, gone nearly as much as Teodor – although because he is an abusive good-for-nothing, not because he has done anything so foolishly noble as sacrifice his freedom for his pride – the women are left to eke out an existence with their children. As a convicted felon, Teodor will no longer be eligible to hold a homestead, but Anna registers one for him in her name, an act that will cause further strain between Teodor and Stefan in the future. We join the families in spring of 1938, just as Teodor is released from prison and arrives home. What a beautiful novel Mitchell has written! 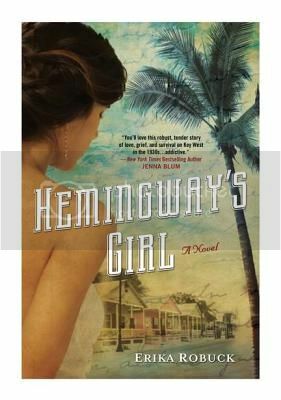 She has a career in screenwriting, which worried me a bit before I began this book, as I find that often that skill does not quite translate well to books, and results in overly-cinematic writing. Instead, Mitchell uses this prior knowledge to write a wonderfully evocative book. Passage after passage made me wish that I had a tendency to read with post-it notes and a pen at hand, and I finally broke down and dogearred one page so I wouldn’t lose a beautifully described passage about a dust storm. The earth hammers against the doors and walls. It spills under the door frame. It sprays through the log chinks, showering Anna, who doesn’t stir, in fine black dust. With this and the other passages about the dust storm, I felt I was there, being surrounded by dust, clenching my eyes shut, struggling to breathe through the dirt swirling in the sky. I also loved the way Mitchell shows us a glimpse of Anna during the storm, one that reinforced and built on everything we already know about her. 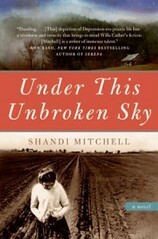 With the setting on the plains of Depression-era Canada, “Under This Unbroken Sky” felt to me very reminiscent of “The Grapes of Wrath,” although in a way that I think will appeal to even those who hate “The Grapes of Wrath.” The writing is similarly skilled and lovely, the focus on these people living lives of quietly hopeful desperation superbly done.